Clear color. Attractive aromas and flavors of cream of wheat with honey, vanilla yogurt raisins, and white chocolate pretzels with a silky, bright, dryish full body and a tingling, delightful, medium-length finish that exhibits overtones of warm milk and honey, porcelain, and pepper dust finish. A nice tingling vodka with creamy flavor and a zesty finish. Bottom Line: A nice tingling vodka with creamy flavor and a zesty finish. 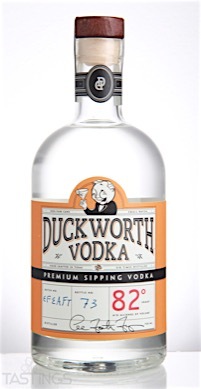 92 • Duckworth Sipping Vodka 41% (USA) $29.95. 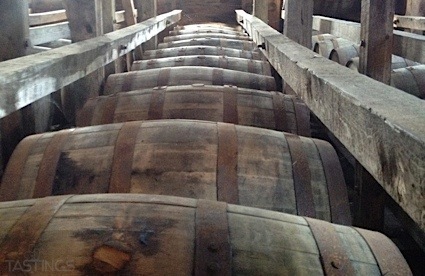 90 • Duckworth French Oak Barrel Vodka 41% (USA) $29.95. 94 • Duckworth Truffle Vodka 41% (USA) $49.95. Duckworth Sipping Vodka rating was calculated by tastings.com to be 92 points out of 100 on 1/19/2017. Please note that MSRP may have changed since the date of our review.